If you could go camping with anyone, who would it be? 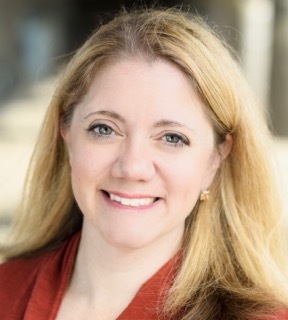 In our case, Laura Bashar of Family Spice would be at the top of the list. Not just because she’s great – she’s the best! – but because she’s the most amazing and creative outdoor cook we know. 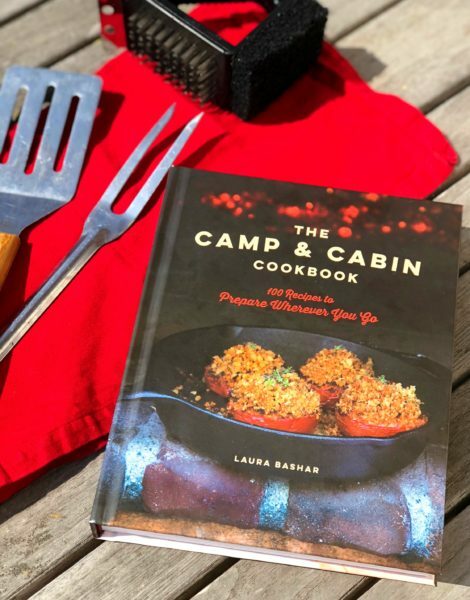 That’s why her new book, The Camp & Cabin Cookbook, is a great handbook for anyone who wants to go just a little bit beyond hot dogs for their next outdoor adventure. 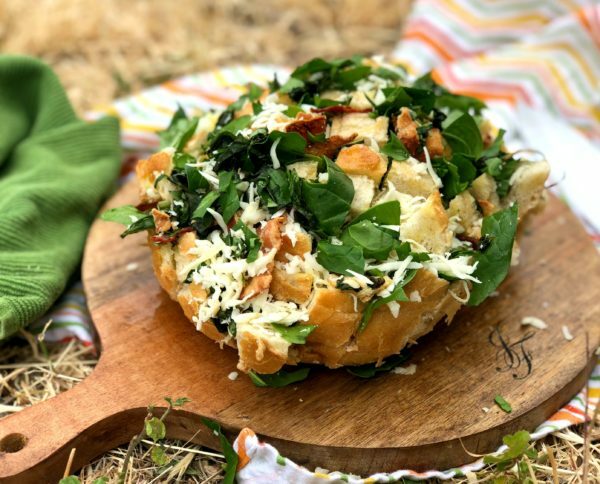 The Camp & Cabin Cookbook – No fancy studio lighting here; we took it camping! Now if you know Jolly Tomato, you know we’re not big campers, and we’re not all that experienced in any kind of outdoor cooking. That’s why the first part of the book, which explains firewood, coal, briquettes, ash cooking, cast-iron cooking, Dutch oven cooking (and more! ), was an extremely helpful read before our most recent camping trip. It helped us head into our camping trip armed with the right kind of equipment and some reasonable goals for tasty food. Here’s our fire/cooking pit. In the background you can see a foil-wrapped ball – that’s our bread! It was so easy to cook; it was just a matter of tossing it in the pit. With a skill level of “basically beginner,” we decided we wanted a recipe that seemed like it would be easy but have a big impact. 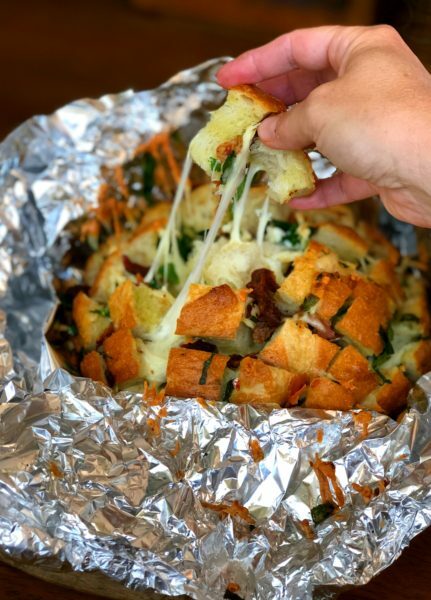 We found exactly that in the Cheesy Garlicky Spinach Pull-Apart Bread. You don’t need a ton of ingredients, and you don’t really need to “cook” anything – you just slice the bread, stuff it, and toss it on the fire. 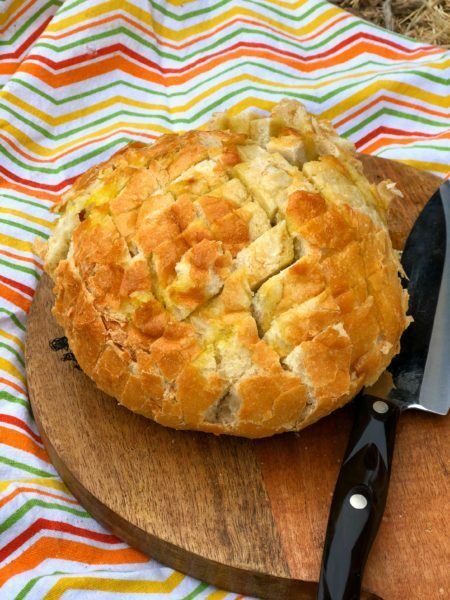 This easy, cheesy pull-apart bread - from Laura Bashar's Camp & Cabin Cookbook - will be an instant crowd-pleaser at your next campout. Prepare the fire for medium heat. Cut a large sheet of heavy-duty aluminum foil, large enough to completely wrap the bread. Place your bread loaf in the center. Using a serrated knife, and starting at the center, slice bread loaf horizontally and vertically, leaving the bottom intact. Do not cut all the way through or the loaf will not remain intact. In a small bowl, whisk together olive oil, garlic, herbs, and spinach. Use your fingers to pry open the cuts in the bread and spoon oil-herb mixture into all of them. Then gently stuff the cracks with the cheese and bacon. Wrap the entire loaf in aluminum foil and place in the campfire ring, surrounded by ash and coals. You want medium heat to toast the bread and melt the cheese. Rotate the bread package for even cooking. Home kitchen method: Bake foil-wrapped bread in the oven at 350 degrees for 20 minutes. Then, remove the top of the foil and bake 10 more minutes. 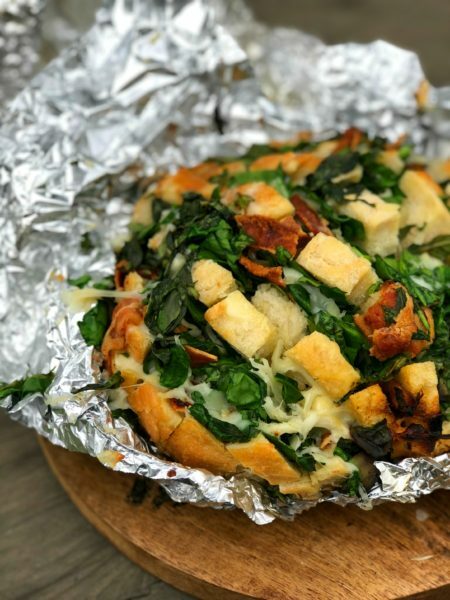 Note that if you’re going to make it all on site, you’ll want to plan for the following tools: a skillet plus tongs or a spatula to cook the bacon, a simple grater to shred the cheese, and a good cutting surface plus a knife to chop the spinach and herbs. For our camping trip, we cheated a little bit and chopped up the herbs, cooked and crumbled the bacon, and shredded the cheese at home. We brought all of the prepared ingredients in plastic bags that we kept in a cooler, so when it was time to cook all of it, all we needed was a knife to slice the bread. Looking back at our fire set-up, you can see that one side of the bread was closer to the main heat source, so we had to rotate the bread a few times to make sure that it cooked evenly. But the foil was great for sealing in the heat and making sure that the heat got into all of those little nooks and crannies. What we learned is that cooking outside is a lot of fun, when you have a good recipe like this one. In fact, you might just find several little hands wanting to help you with the stuffing. Which leads us to another side note – you’ll want to have a reliable way to make sure your hands are clean because this recipe requires a lot of direct, hands-on food handling. 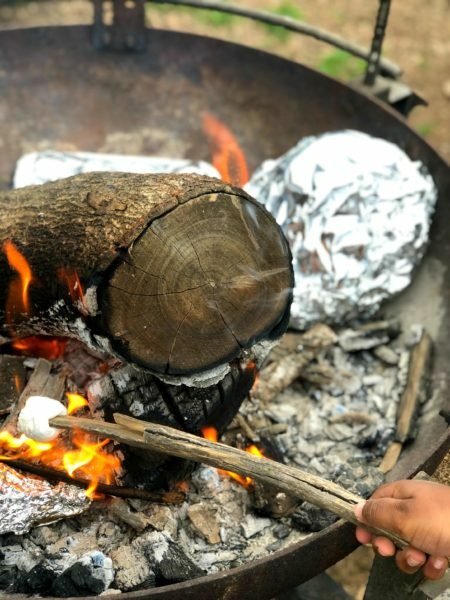 Curious about baking scones, making soup, or putting together “street tacos” while you’re in the great outdoors? Check out these and more recipes in the Camp & Cabin Cookbook and get ready to hit the road! 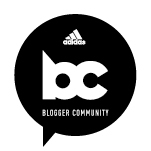 Blogger disclosure: This post contains affiliate links. I was given a copy of this cookbook for review. I did not receive compensation for this post. All opinions expressed are my own. That’s one of the best features of the book….that it gives instructions for home cooking, as well! Such a fun recipe! I can’t wait to try it.